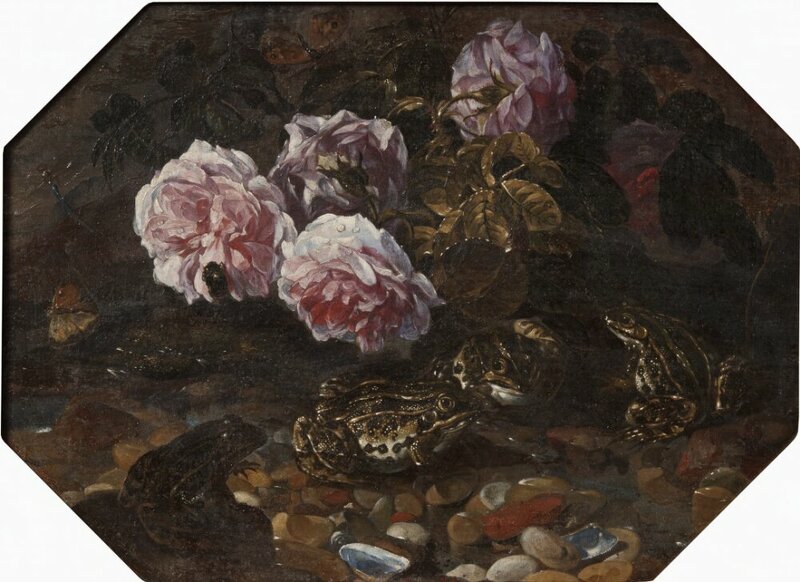 These still lifes show the Netherlandish subject of the sottobosco, detailed views of wildlife in natural settings. We are allowed to eavesdrop on the activity of assorted amphibians and insects. These are depicted with the accuracy of a zoologist, sensuous textures, and fresh colours. The picture is also an allegory of the struggle between good and evil.